OROVILLE-CA For the past two summers, the Butte County Office of Education’s summer Technology High School Internship program has helped local high school students shape their own futures. While earning an income, student interns get immersed in the day-to-day challenges and rewards of using electronic technology. Students work in teams and individually to plan, implement and support technology in business and educational settings. 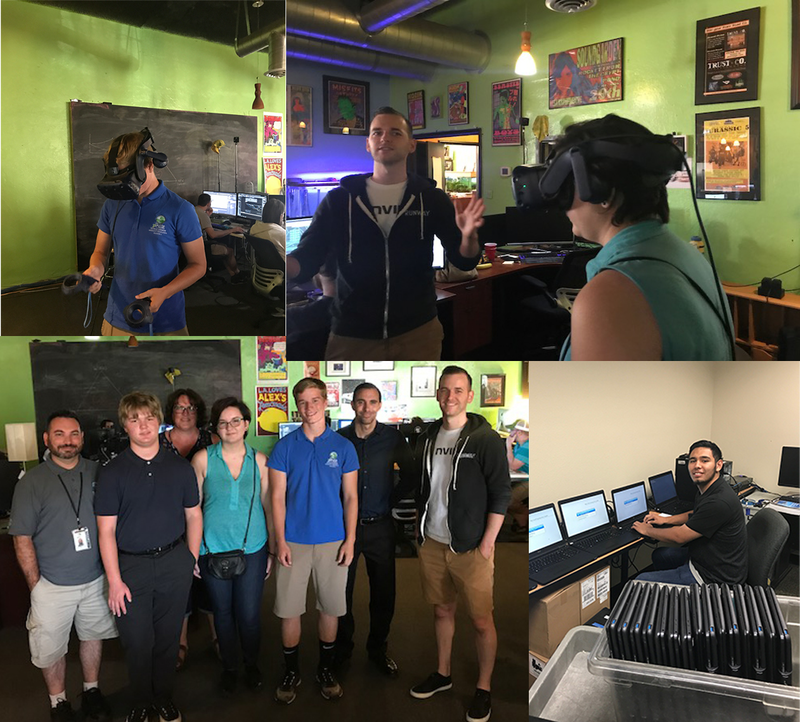 Bonus opportunities for interns this year included a visit to Theia, a local, virtual reality company, and an opportunity to help launch high school esports in Northern California. In addition to visiting cutting-edge technology companies and launching new programs, student interns learn how to deploy and support computers, gain training for A+ certifications, work on a help-desk to assist others with technology, build their resumes, handle inventory, and work in a fast-paced, team environment. In the spring of 2019, BCOE Information Technology Services will again recruit three, local, high school students for the 2019 summer High School Internship program. Potential interns need to be currently enrolled, maintain an excellent attendance record ( > 90%), maintain a 2.5 or higher GPA, and provide a resume with letter of introduction.